Coach's Corner - Tom Brady #12 autographed/guaranteed NFL football with "SB 51 MVP"! 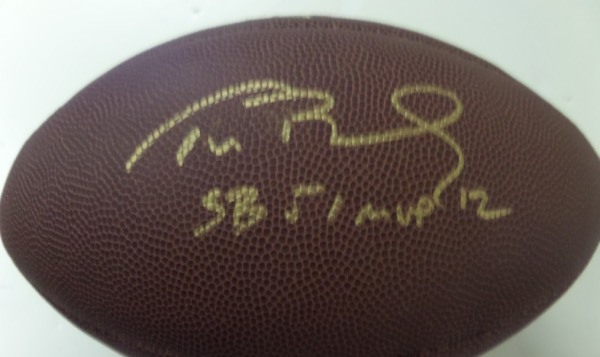 Go Back to Lot List Tom Brady #12 autographed/guaranteed NFL football with "SB 51 MVP"! This mint Wilson NFL football comes signed in gold by the best player of all-time with his #12 and a great inscription added! Retails in the very high hundreds and only going up as he keeps crushing records! Wow!